The Financial Revolution is here! One of the largest industries currently being revolutionized through technology is the Finance Industry. Traditional banking methods are no longer your only option. Currencies are changing, banking methods are changing and money is being circulated globally, faster than ever before. In 2015 NYC.Gov reported that “1.14 Million Households in NYC are Unbanked or Underbanked; More Than Half of New Yorkers Don't Have Adequate Savings for an Emergency”. As we look deeper at studies conducted by their research department we see that the Bronx, which is a highly populated black and Latino borough, has the highest rates of Unbanked and Underbanked individuals. How with so many new banking options and formats are so many people unbanked/underbanked? Does it have something to do with their socio-economic status? Their trust in banks? They are choosing not to bank? Their banking options? FinClusion is a hackathon weekend that brings together individuals from various backgrounds including programmers, students, community members, activists, city workers, entrepreneurs and more to find a solution to why there is a lack of inclusion in Financial Technology. We at Illicit Mind will provide the environment, knowledge and experts, you and your team will build an MVP (Minimum Viable Product) solution. This weekend welcomes all those who love their community enough to bring their ideas to fruition. We will explore the power of bringing together community members, technology and ideas to scale projects that will make a lasting impact in our communities. By building a community of problem solvers, we'll forge a legion of doers who empower communities through technology, creativity and collaboration. Let’s build with one another, instead of waiting for outsiders to build for us ! John K. , Pedro C.
FinClusion Panel: Why is it important to increase Inclusion in FinTech ? Danielle K. , Andy M. , Vishal S. , Melisa B.
Prizes for the hackathons are given out after considerations are made by the judges on the teams. Swag is available throughout the event and will be distrubuted by the IliicitMind team. BeMyApp (mopria) is sponosring a large challenge that anyone can join. It involves teams adding a print funcationality to their test android app. Teams only have to enroll in the competion (details given at event) to qualify for the challenge. BeMyApp is offering $50 to any team that enters the challenge, as well Google Home devices that will be awarded by the judges to the best team that utilizes the BeMyApp function. Radix is offering free domain names (.ONLINE, .STORE, .TECH, .SITE, .SPACE, .WEBSITE, .PRESS & .HOST) to all participants at the hackathon (not just teams). This swag will be offered through a custom portal that will be made available at the event. Illicit Mind Inc, a membership based organization for young adults to learn through innovative events. Our events provide online and offline support. 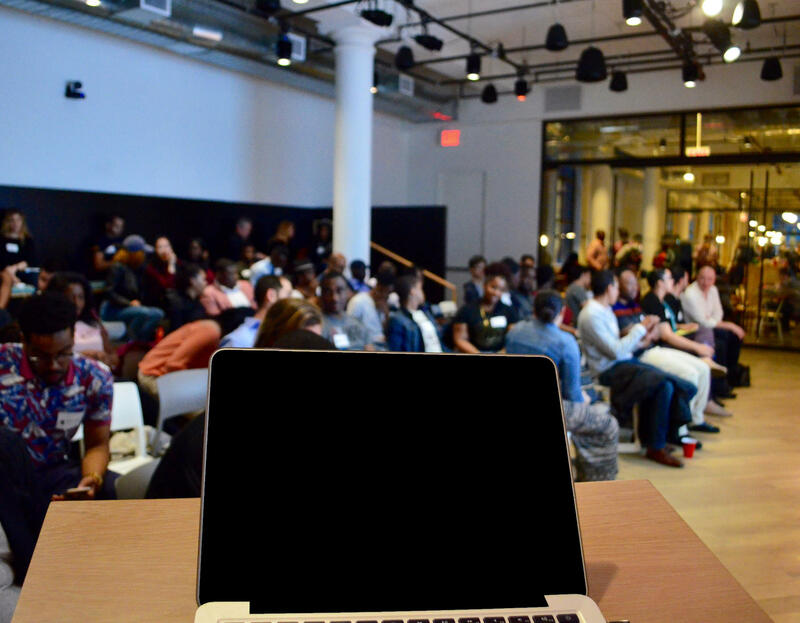 Events include hackathons, monthly meetups, classes, and more. We additionally provide resources, experiences, opportunities, and connections directly from the startup ecosystem to our members.